AFTERMATH: the heroes reel in the wake of last issue’s shocking finale. Thor finds himself unwelcome in two homes. Steve Rogers makes the decision of a lifetime. And Iron Man prepares to make the ultimate sacrifice. Every move the heroes make just serves to make The Serpent stronger– and the feat he accomplishes in this issue will rock the Avengers. XXXX XXXXX…one of the most beloved heroes in the Marvel Universe…is now the willing avatar of the Serpent’s malice– an engine of discord cutting an unstoppable path of destruction through the heart of New York City! How did the Serpent’s Hammer seduce him so easily? Can the rest of the XXXXXXX stop him before he levels the entire city in the name of his dark master? It won’t take some of the Avengers to fight the madness of fear itself it will take ALL OF THEM!! It’s an Avengers reunion in the ruined streets of New York as Avengers old and new gather to fight the fight no single hero could possibly withstand. And finally, who on the Avengers will fall in love…for the very first time?! What? We can’t believe it either! Alpha Flight… traitors??? After saving their country from the hammer-wielding XXXXX, The Flight are captured by the newly risen Unity Party and branded as traitors. Now they must escape from the bowels of the top-secret facility, Department H, they once called home. In doing so they must confront the shocking betrayal of one of their core members — and discover an imprisoned hero readers have clamored to see since this series was announced! 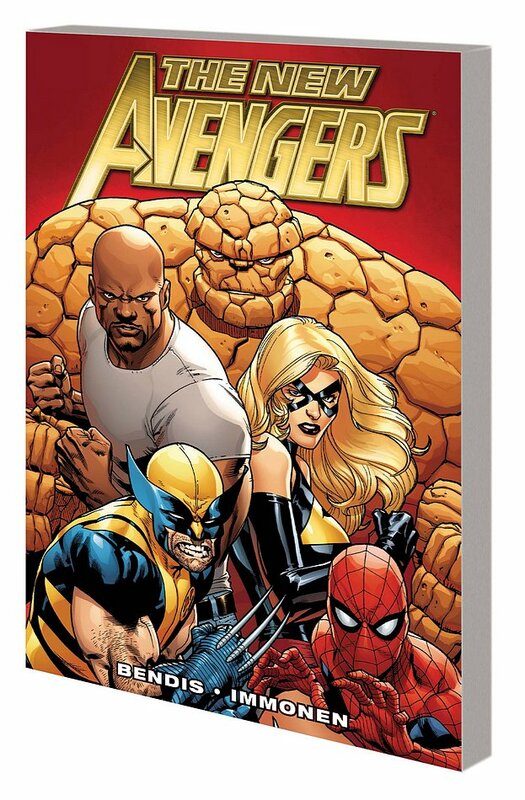 The red-hot writing team of Greg Pak and Fred Van Lente and artistic legend Dale Eaglesham continue their highly-anticipated resurrection of one of Marvel’s most beloved super hero teams in a story that absolutely cannot be missed! The X-Men event of the decade starts here! It’s never been a more dangerous time to be a mutant. Even with their numbers at a record low, the world refuses to trust mutantkind…and after a mutant-triggered international incident, anti-mutant hatred hits new heights. Of course it’s at this moment, when the mutant race needs most to stand together, that a split begins that will tear apart the very foundation of the X-Men. From superstar writer and Marvel Architect Jason Aaron and a full roster of comics’ top artists, this is an X-tale that will reverberate for years to come! Come October, the X-Men landscape will be irreparably changed. X-23 has been fighting against her past for years, and now she has an opportunity to put it to rest for good. Meanwhile, Jubilee’s past as a mutant and X-Man haunts her as she struggles to find a place in the world– but if they don’t have their pasts to keep them going, what do they have? 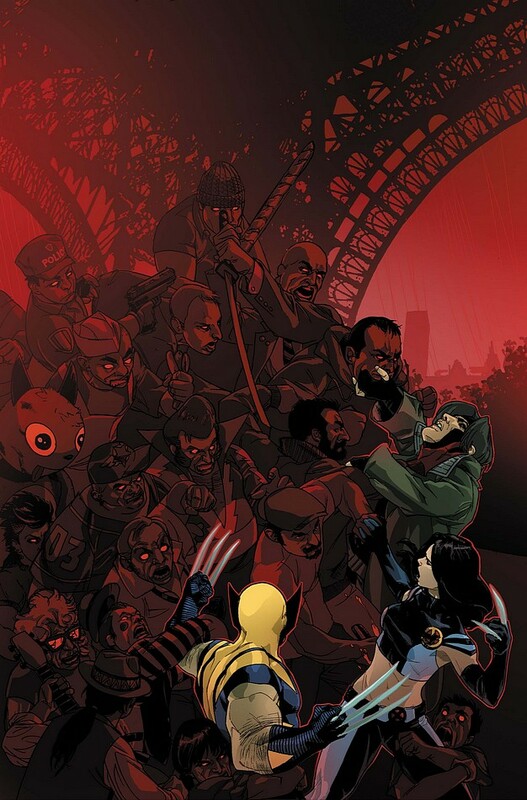 And can they figure it out before the mysterious figure behind X-23’s kill-list gets to them first? Find out as New York Times Bestselling writer MARJORIE LIU and fan favorite artist SANA TAKEDA take you to the edge! He’s the best there is at what he does — and Wolverine’s not so bad, either. 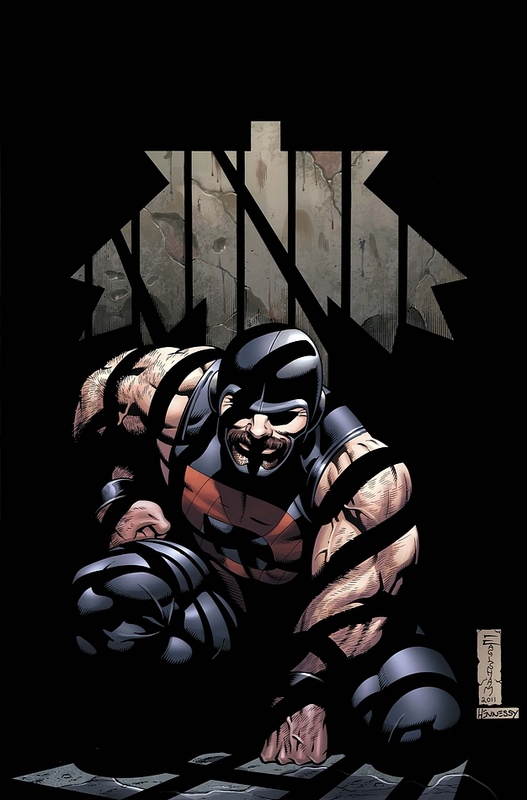 Now, writer Jason Aaron’s (PUNISHERMAX, Scalped) entire character-defining run leading to “Wolverine Goes to Hell” is collected in one massive, bone-shattering volume. Joined by some of comics’ top artists, Aaron pits Wolverine against a platoon of Adamantium-enhanced mercenaries, super-powered kung-fu gangsters, time-traveling reanimated killers and — in a brutal, no-holds-barred battle that may destroy them both — Mystique. 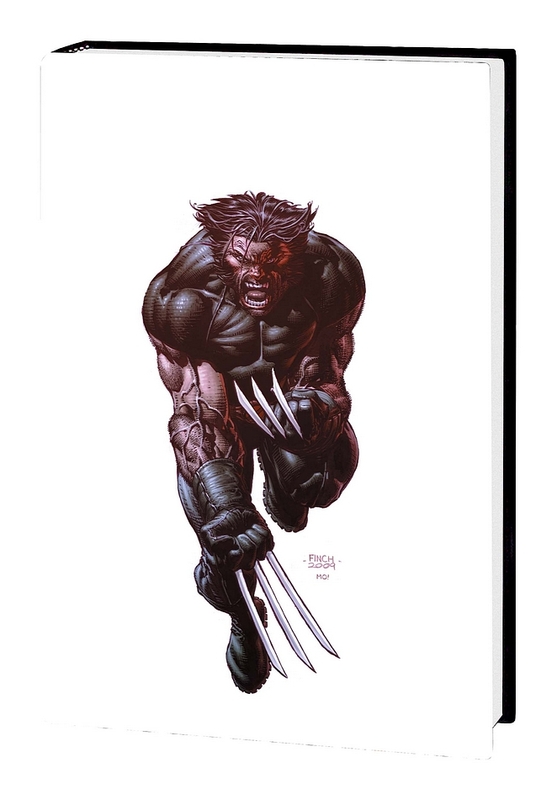 Collecting WOLVERINE (2003) #56 and #62-65; WOLVERINE: MANIFEST DESTINY #1-4; WOLVERINE: WEAPON X #1-16; DARK REIGN: THE LIST — WOLVERINE; and material from WOLVERINE (2003) #73-74, DARK X-MEN: THE BEGINNING #3 and WOLVERINE (1988) #175. Sucked into the Negative Zone, the X-Men are taken captive by Blastaar — and with the Fantastic Four still reeling from a death in the family, it falls to Steve Rogers to step in and mount an interdimensional rescue mission to save the mutants. But the Negative Zone alien isn’t the biggest problem the X-Men and fighting Avenger will face. The lack of water and bizarre physics of the Negative Zone have driven Namor crazy — so crazy he’s destroying everything in his path, even his friends! Collecting UNCANNY X-MEN ANNUAL (2006) #3, STEVE ROGERS: SUPER-SOLDIER ANNUAL #1 and NAMOR: THE FIRST MUTANT ANNUAL #1.
them straight back to…Jonah himself?! Collecting X-FACTOR (1986) #213-219. The Hulk has never been welcome in the civilized world. What better place for the savage Hulks than the Savage Land? 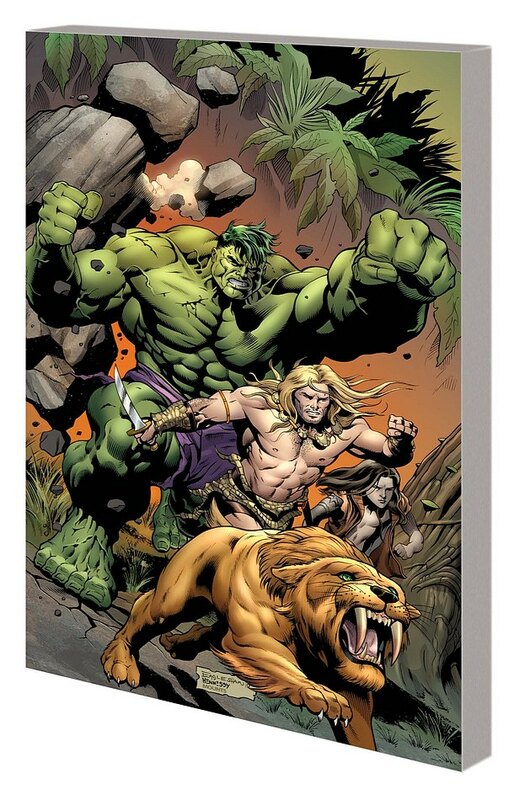 Get ready for jungle action as Hulk and Skaar invade the prehistoric paradise of Ka-Zar, Lord of the Hidden Jungle. Featuring the showstopping pencils of superstar Dale Eaglesham and the return of a deadly frenemy the Hulk should never have forgotten. In the slaughterhouse of Planet Sakaar’s gladiatorial arenas, the Hulk and his Warbound companions swore to stand forever at each other’s sides. Now, alongside Ka-Zar and Skaar, that oath faces its final test. Will their great bond end in rout or redemption? Collecting INCREDIBLE HULKS #623-629. Originally a 90-pound weakling from New York City’s Lower East Side, Steve Rogers was transformed into Captain America by the legendary Super-Soldier serum — shortly before the formula was lost, seemingly forever. But now, years later, the grandson of the treatment’s creator has rediscovered the serum and plans to sell it to the highest bidder. Suddenly, Rogers is confronted with the possibility of a world overrun by Super-Soldiers, in which any despot willing to pony up the cash could have his very own unstoppable army. Can Rogers prevent the formula from changing hands before it’s too late? 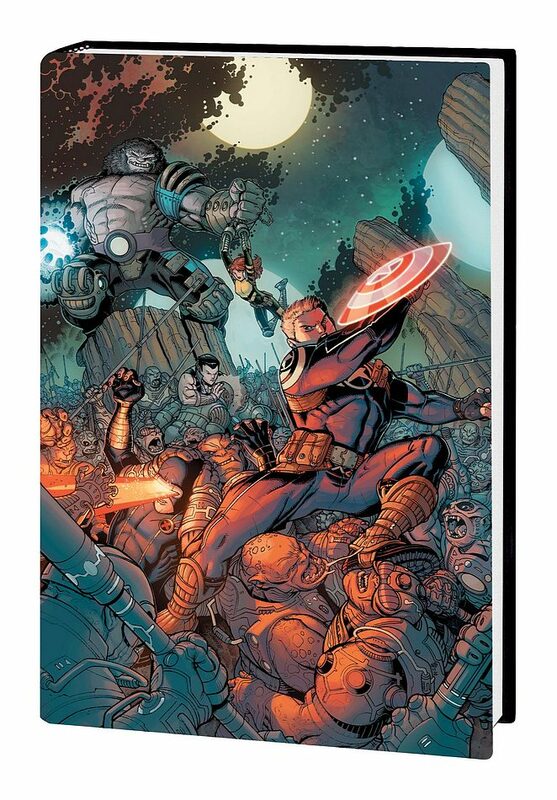 Collecting STEVE ROGERS: SUPER-SOLDIER #1-4 and material from CAPTAIN AMERICA COMICS #1. The Siege is over, and the Heroic Age has begun. So what’s next for Luke Cage and the New Avengers? Steve Rogers thinks he has the answer, offering Cage the reins of his own team and the keys to Avengers Mansion. Which heroes will Luke choose to join him, assuming he even wants the gig to begin with? He’d better decide soon, because the forces of evil are literally dropping out of the sky — and even a formidable trio of master mystics like Dr. Strange, Dr. Voodoo and Daimon Hellstrom are at a loss to stop it. It’s time for Luke Cage and his New Avengers to step up, or their first mission may well be their last! Collecting NEW AVENGERS (2010) #1-6. The Fantastic Four hold the distinction of having one of the most diabolical and dangerous villains on the planet for a nemesis: Dr. Doom! Since their first encounter, Doom has used dark magic and mad science in his quest to destroy Reed Richards and his family. Now, taking to the timestream, Doom may have just what he needs to defeat his sworn enemy forever. To prevail, the Fantastic Four will need the help of one of their oldest allies: the Amazing Spider-Man! Never a team player, Spider-Man must learn to work well with others — or it just might mean the end of them all. Plus: a classic two-part team-up featuring the FF and the web-slinger! Collecting SPIDER-MAN/FANTASTIC FOUR (2010) #1-4; PETER PARKER, THE SPECTACULAR SPIDER-MAN (1976) #42; and FANTASTIC FOUR (1961) #218. Avengers assemble! Captain America! Thor! Iron Man! And…Spider-Man!? After years of fighting crime on his own, the web-spinner has become one of Earth’s Mightiest Heroes! But this isn’t the first time he’s joined the team! 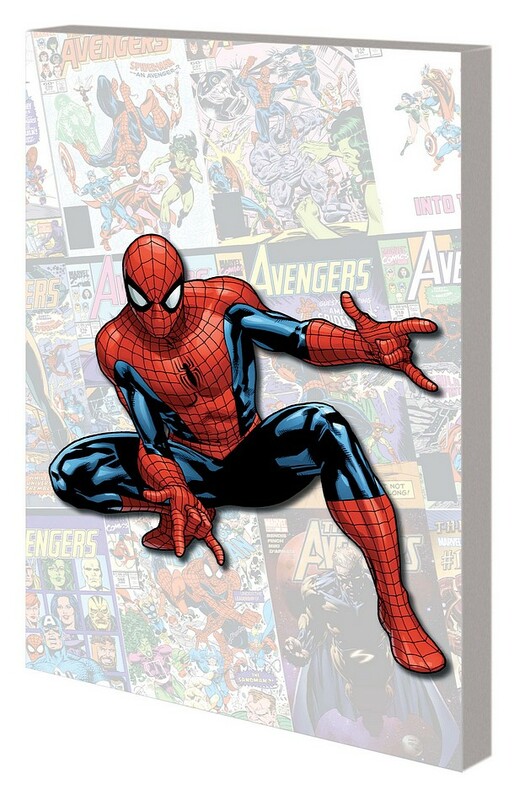 Collected here is Spider-Man’s tenuous history with the Avengers as they face the end of the universe, prison breakouts and a massive battle with the Hulk! Featuring the threats of Nebula, the Stranger, Kang and Ngh the Unspeakable! Collecting AMAZING SPIDER-MAN ANNUAL #3; AVENGERS (1963) #236-237, #314-318 and #329; AMAZING SPIDER-MAN (1963) #348; NEW AVENGERS (2005) #3; and AVENGERS (2010) #1. Meet Ben Reilly, clone of Spider-Man! When Peter Parker decides to retire, Ben takes up the job as the new web-slinger in town, the Scarlet Spider! And there’s no shortage of foes waiting to fight him — including Dr. Octopus, Venom, Carnage, the new Green Goblin, Kaine, the High Evolutionary, Joystick and the Looter! Plus: The Scarlet Spider joins the New Warriors! Collecting SPIDER-MAN: THE PARKER YEARS, NEW WARRIORS (1990) #65-66, SCARLET SPIDER UNLIMITED #1, WEB OF SCARLET SPIDER #1-2, AMAZING SCARLET SPIDER #1-2, SCARLET SPIDER #1-2, SPECTACULAR SCARLET SPIDER #1-2, GREEN GOBLIN #3. and SENSATIONAL SPIDER-MAN (1996) #0 and MINI-COMIC.